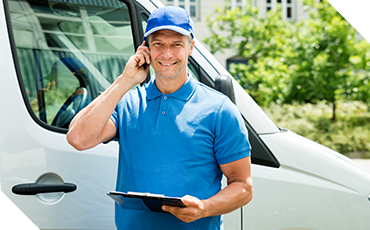 At Powerhouse Heating and Air Conditioning, we have made it our life’s work to provide the people of Blair and Omaha with high-quality HVAC systems, and conducting maintenance and repairs as necessary to make sure they’re performing at top shape. HVAC systems, of course, circulate the air all over your home. Whether you’re heating or cooling, your HVAC is an incredibly complex piece of technology that’s made to increase your overall comfort. And that’s why it’s so important to maintain good air quality in your home at all times. 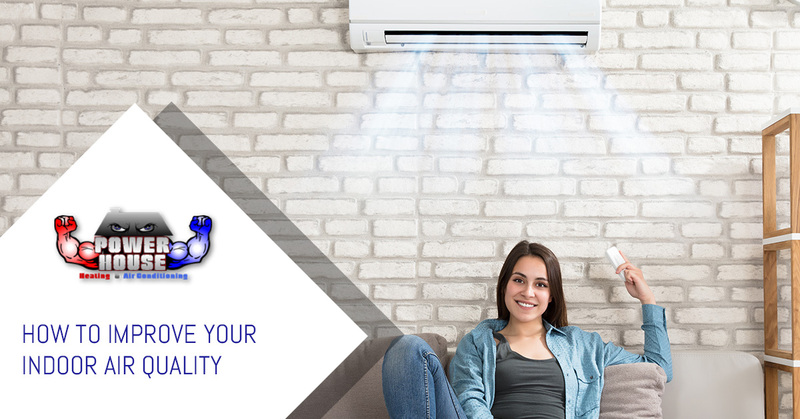 Because air is constantly recirculated via your heater or air conditioner, you should always make sure that the quality of that air is up to par. While your HVAC will do some work to filter out the bad stuff, it can’t do everything for you. What Constitutes Poor Air Quality? Air quality, essentially, is directly tied to the number of “things” in your indoor air. A lot of unseen substances can proliferate themselves into the air you breathe day after day, and a good portion of them aren’t exactly good for your long-term health. There’s a reason why people like to “get a breath of fresh air” by going outside. It’s not just an expression; the air outside is literally much cleaner and fresher (in most occasions), because it hasn’t been cooped up in a building for extended periods of time with pollutants that are unable to escape. Mold, smoke, dust, chemicals, cosmetics, and allergens can all get into your air. In a best-case scenario, they reduce the quality in a way that’s mostly unseen and unnoticed, until you have that aforementioned breath of fresh air outside. In a worst-case scenario, these can severely impact your health, causing or exacerbating asthma, proliferating allergens, and causing unfavorable materials to build up in your lungs. Here are some tips on how you can improve the air quality in your home. We’re gonna let you in on a little secret — your HVAC has a handy air filter that does the best it can to, well, filter out the pollutants that want to enter into your home and circulate through your system. If you’re thinking, “What? That’s not a secret,” then you’re one of the fortunate ones who may have been diligent enough to change your air filter from time to time. Tragically, the existence of an air filter may as well be a secret to a large percentage of the population, who seem loathe to ever take it out or replace it, suffering the effects of drastically reduced air quality as a result. When an air filter goes too long without replacement, it’s prone to getting clogged with all the gunk it’s trying to keep out. This results in a less efficient HVAC, and those allergens and pollutants making their way into your system. Yuck. The most important thing you need to know about your air filter is that it’s not only cheap to replace, it’s easy. 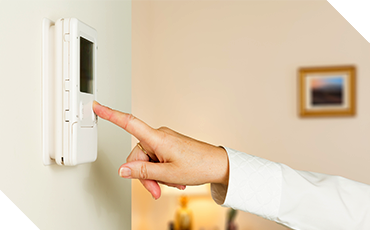 It can be done in a matter of minutes, and you don’t need to call an air conditioning company for help. All you have to do is buy the filter and swap your old one out with the new one. That’s easy enough to do once a month, right? In the majority of situations, the quality of air inside is many times poorer than the air outside. Opening a window brings you a variety of positive benefits — you allow fresh air to come in, and polluted air to go out. One reason why air quality can get so bad in the first place is that it doesn’t have a means of escape. When it’s trapped inside a building where windows never open and doors only seldom let it out, you can bet that allergens and pollutants are going to build up. Having some open windows gives it a channel to leave your space. That, mixed with the good air coming in, does a pretty good job of equalizing your situation. Opening your windows can also be the difference between life and death in extreme situations, such as if you have a carbon monoxide leak. This is exceedingly rare, but it’s a good example of just how much of a difference a window can make. As professional HVAC contractors, we do feel compelled to point out that opening windows is a great idea, but not while you’re running your air conditioner. Open windows mess with the temperature of your home and cause your AC to work overtime. Consider allowing yourself to be cooled by the natural air instead of opting for both options at the same time. It should be obvious that cleaning your house often would improve your air quality, but it’s good to understand exactly why. If you’re not consistently cleaning your home, dust and chemicals will accumulate over time, and get into your air. Before you know it, you might be sneezing and coughing a whole lot more than you used to. It’s good to clean your home well so that you can truly reduce the risk of air pollution in the places where it counts. Vacuum at least once a week and change your vacuum filter frequently. Clean the mold in your showers and bathrooms, and regrout if it’s necessary. Order professional carpet and furniture cleaning at least once every six months. Mop your floors, preferably with a microfiber head. Dust the areas of your house that usually don’t get attention — ceiling fan blades, blinds, etc. Finally, when in doubt, it’s never a bad idea to contact one of the many HVAC companies in your area. If you’re in Blair or Omaha, Powerhouse Heating and Air Conditioning is one of them. It’s important to remember that your HVAC is essentially the gateway to air flow in your house. An optimized system that’s running well and up-to-date with its filter can do a whole lot to solve a lot of air quality problems by itself. When you neglect it and let smaller problems build up, that’s when your trouble really begins. At Powerhouse, we recommend, at minimum, getting one professional checkup on your heating and air conditioning system each year. In this process, the HVAC pros will look at your system, examine it to diagnose any potential problems, and conduct routine professional maintenance that will go a long way in preventing future problems. If you’re interested in improving the air quality of your home, contact us today! You don’t want to be sneezing all summer.